3T Inc. (Transaction Tracking Technologies) supplies secure and customizable document systems that issue, track, and reconcile virtually any type of secure document (e.g. cashiers checks, money orders, gift certificates, etc). Its flexible and open-architecture software adapts to any platform. By streamlining operations, upgrading security, and slashing administrative time, 3T empowers its clients to generate new profit. Whether you’re filling your tank with ALON gasoline or supplying fuel for thousands of tanks … buying groceries at one of our 7-Eleven locations or running your own convenience store … Alon Brands is there. Alon Brands, Inc. is a dynamic organization focused on providing the optimal convenience store and fueling experience for our customers. We market and supply motor fuels to independent and company-owned retail locations. We’re also the largest licensee of 7-Eleven in the U.S., operating more than 300 convenience stores in Central and West Texas and New Mexico. Bluefin is the leading provider of PCI-validated P2PE integrated and stand-alone solutions for point of sale, mobile, call center and kiosk/unattended environments in the education, fuel, healthcare and retail industries. Bluefin’s PCI-validated P2PE solution secures card transactions by encrypting all data within a PCI-approved point of entry swipe or keypad device, preventing clear-text cardholder data from being available while it’s in the merchant’s system or in-transit to the processing host where it could be exposed to malware. CFN (Commercial Fueling Network) was established in 1988 with the goal of creating a North American commercial cardlock network that offers integrated fueling card processing solutions to fleet managers and owners. Today, CFN is comprised of over 350 independent petroleum marketers who are committed to provide the transportation industry with fueling products 24 hours a day, 365 days of the year. Pinnacle’s Palm POS™ processes payments and is certified on the CITGO payment network. Coinstar is a leading provider of prepaid products and services to the convenience and retail markets. Coinstar offers a portfolio of products and services including gift cards, prepaid products, skill crane and bulk vending machines, money transfer and DVD rental kiosks. epay, a Division of Euronet Worldwide, Inc. (NASDAQ: EEFT), is a global processor and distributor of electronic payment solutions – enabling service providers to maximize the sales of their products and services.epay utilizes its worldwide network – approximately 240,000 retailer locations, around 510,000 points of sale (POS) across a number of markets including Australia, Austria, France, Germany, India, Ireland, Italy, New Zealand, Poland, Romania, Spain, Switzerland, UK and the U.S. – to deliver innovative and tailored electronic payment and cash collection solutions including POS systems integration and a full settlement and reporting service. The epay portfolio includes prepaid mobile top-up, prepaid debit cards, e-wallets, bill payment, gift cards, digital content, money transfer through its sister company RIA, lottery and transport payment solutions including road tolls and public transport. A full marketing and distribution service is available to support these products and services. Pinnacle’s Palm POS™ processes payments and is certified on the Exxon/Mobil payment network. Pinnacle’s Palm POS™ processes payments and is certified on the First Data payment network, formerly Concord BUYPASS. From credit/debit/fleet card processing to integrated point of sale (POS) and network solutions, gift marketing and payroll services, Heartland Payment Systems manages all payment processing needs effectively, cost-efficiently — and with your best interests at heart. We advocate for you — helping you navigate through the complexities of payments processing. InComm is an innovator in prepaid products and point-of-sale technology specializing in retail prepaid services, subscriber services and payment solutions that are changing the way consumers purchase. InComm provides a robust product portfolio including wireless airtime, financial debit cards, gift cards, music downloads, ring tones, games, long distance cards, online games, broadband, digital television as well as bill payment solutions. InComm partners with consumer brand leaders around the world to provide more than 145,000 retail locations the products and services their customers demand. MoneyGram International, Inc. is a payment services company made up of a global funds transfer group serving retail businesses and a payment systems division that services financial institutions. The global funds transfer business line includes Travelers Express® money orders, MoneyGram® money transfers, ExpressPayment emergency bill payments, gift certificates, and utility bill payments. Company products are available in more than 100,000 locations worldwide. National Bankcard Services (NBS) is a leading provider of transaction processing solutions for petroleum/convenience store chains and national retailers. By custom developing payment and loyalty solutions that meet specific authorization, data capture, settlement and reporting requirements, National Bankcard Services’ technology and expertise is delivering improved efficiency and productivity for our clients. NBS integrates a full array of credit, debit, EBT, proprietary, prepaid, fleet, check and loyalty card processing services. 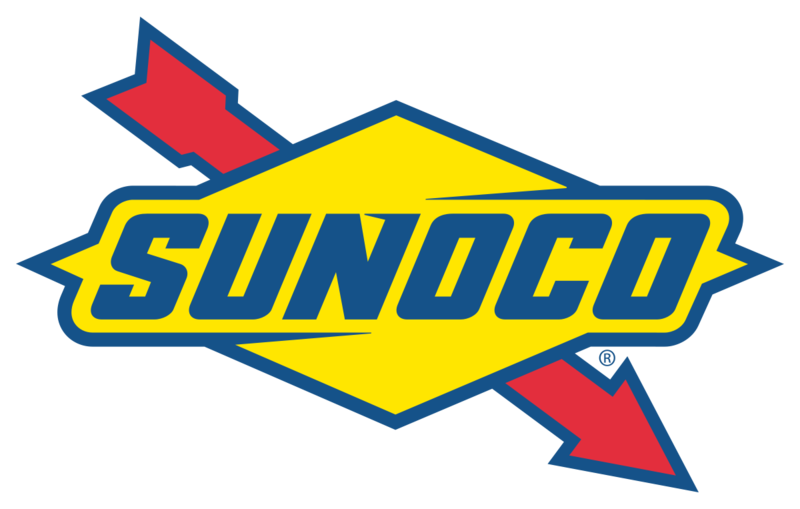 Pinnacle’s Palm POS™ processes payments and is certified on the Sunoco payment network. WorldPay has the ideal payment processing solution for your business, however you choose to process transactions – face-to-face, online, through the mail or over the phone – backed by our best-in-class, 24/7 customer service. Our commitment to providing the best service for your business also means that we are dedicated to helping you in the fight against fraud…so you can rest assured that your transaction activity is closely monitored to identify potentially fraudulent bankcard usage and suspicious activity…to help protect both your business and your customers. ZAMCO is an innovator and industry leader in providing all types of state of the art check and item payment processing, item verification, and collections systems. We are committed to providing our clients with extremely reliable, technologically advanced, and customized payment processing solutions. We aim to provide our clients the highest quality services possible using the latest technologies and products available. With ZAMCO, we are your partners in business, providing solutions through technology. We meet the payment needs of business!